The Spectramed Medical Aid service scheme is one of the most sought after services in South Africa due to its fantastic package offers. A huge section of the local community does agree that the company should be considered as the right place to refer to when it comes to medical concerns especially those pertinent to services and medications. The company boasts of its traditional yet futuristic medical schemes that seem to benefit every registrant. As a matter of fact, it allows members to put aside some savings as well. There are a number of different medical service packages being offered, and based on the type of subscribed package, generous day-to-day remunerations will be given to patients. Spectramed covers the medical needs of the registering member as well as his immediate family members. In addition, treatment is given exclusively to different individuals. Both the Spectra and Aqua package are designed to cater to the needs of a registrant and his family. The coverage is generous enough that it includes payments for hospitalization as well as day-to-day hospital visits, supply of medications and other arising matters as laid down in each different medical package. Patients are free to choose their favoured package – there are no restrictions whatsoever. Registering with Spectramed eliminates all the worries as it has been established for more than fifty years. It has gathered ample experience in the field of medical service providing. It started as a humble company which only catered to the medical needs of a small printing company resided locally, but now Spectramed has become fully commercialized. As a matter of fact, it has already been actively commercializing its medical service packages since 1997. 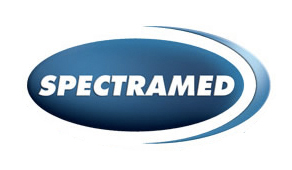 There is no denying of the fact that today, as an established company, Spectramed is truly accepted in South Africa. Members of Spectramed should not worry a thing regarding the company’s current financial condition. Up until today, Spectramed has maintained a good level of financial strength and stability, and thus it has no problem in meeting long-term goals and responsibilities. As a matter of fact, the company is not reluctant to reveal that it is actually able to go further in terms of expanding its services due to the availability of reserve funds in its account. Should any registrant of the company needs medical service in any way, Spectramed has always been prepared to cover for the costs of remunerations and any other arising costs that a member is eligible for. Spectramed is a company that regards highly of its members. The company was developed mainly for the members, and as such members are the ones who should be managing it. Having that said, the board of trustees are actually picked from Spectramed members. These board members are the ones given the responsibility to run the medical schemes offered by Spectramed. The Spectra SOS is designed to cater to emergency cases. For regular health and medical services, the Spectra Care package should be the right choice for patients. If members are concerned to apply for traumatic medical care, they should consider opting for the Spectra Assist medical service package.